The Commandment is my “one word at a time, sweet Jesus” book. I didn’t realize it when the story began to surface in my mind five years ago. I didn’t realize it as I began to outline and sketch out my characters. I didn’t even realize it in the middle, when my world shattered, and vital pieces of life were forever lost. Nor did I realize it at the end, when the last word was written. It wasn’t until much later—lately, in fact, that I came to recognize this book for the miracle it truly is. Not miraculous in and of itself, of course. After all, it’s just a fictional story built by my limited imagination. But the fact it was ever finished is a miracle. And a testament to God’s divine provision. It was October, 2014. The idea for The Commandment was swimming around in my head when my husband and I decided to take a road trip from Oklahoma to Nevada to visit his parents. I love my in-laws, and love for my husband to be trapped in a car with me for hours, so I was rearing to go. On the road, I spent my time gazing from the passenger window, soaking up the surroundings. I was especially entranced by the lonesome beauty of the desert hills. In my story notes I wrote: blond jagged earth; haze on the peaks; pinks, sandy beige and rose; cactus plants; green bleached to yellow; cracks and valleys, sculptures without faces; her soul, dry and thirsty as the scrub on the hills. The terrain was so magnificent, even my scattered description notes sounded like poetry. By the time we reached our destination, I knew the book would be set in Nevada. During our wonderful visit, more images began to form. An isolated medical laboratory could easily be nestled behind the Nevada hills. And those dangerously beautiful cactus…I wonder what their nectar is like? Wouldn’t it be amazing if it had a numbing quality to it, in order to create a brain-dulling serum in my story? I googled it and, lo and behold, it does! And what about a hot air balloon festival in the desert? Beautiful, vibrant colors dotting the extra-blue sky as far as the eye can see. What better place to set a main character’s abduction than in a hot air balloon? A riveting scene that just might go on record as the world’s first slow-motion kidnapping. I had heard the Nevada desert described as barren and desolate, but to me those endless hills and valleys were rich and bountiful, fertile with story ideas. The vacation ended and we came back home to Oklahoma. The next week, my daughter-in-law and nine-month-old grandson moved in with us. I was thrilled to have them and immediately adjusted my writing schedule to accommodate having extra people in the house. I began rising at 5:00 a.m. to write—and they began coming downstairs at 5:00 a.m. to visit with me. And because nothing compares to holding a grandchild, not even authoring a book, writing would just have to wait. For ten months, I had the thrill and privilege of spending time with my little grandson every day. In that span of time, he grew and learned so much. His mother and I grew close, developing a special mother-daughter relationship filled with heart-to-heart talks, grocery shopping, shared meals, and lots of laughter. She started calling me, “Mom.” I wouldn’t have missed it for the world. In August 2015, they moved out. And though I knew I would continue to see them daily—I cried. And then I started writing again. I began writing every morning before work, and writing some more on my lunch hour. 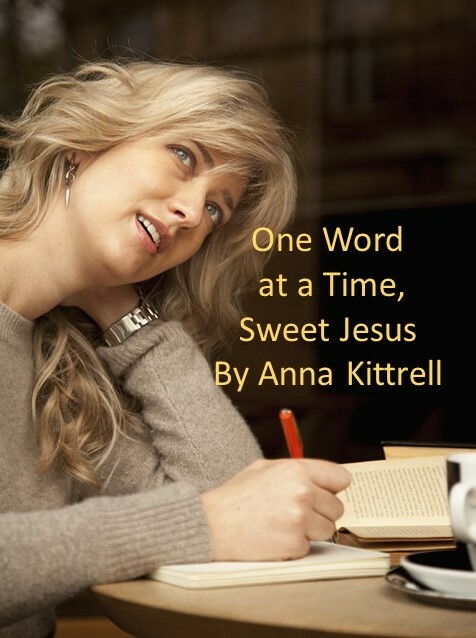 I loved my characters and the story, and was happy about how well the book was coming along. I had already told my editor about it, and she seemed excited. I couldn’t wait to submit it. At this rate, it would be finished soon. And then, on December 30, 2015, the book—and my life—stopped cold. At ten thirty that night, my little grandson and I had gone to pick up my daughter-in-law from work, and were told she never showed up. I drove to her house and banged on the door, but she didn’t answer. From outside her home, I called my husband, who came and discovered her lifeless body inside. Our daughter-in-law, the girl who called me “Mom,” the mother of our only grandchild, had taken her own life. We loved her as if she were our own daughter and were devastated. I couldn’t eat, couldn’t sleep, and with the exception of the obituary, eulogy, and funeral poem, I certainly couldn’t write. Life would never be the same. Days passed, and I had to return to work. My son and I developed a routine of dropping off and picking up my grandson. And, after three months had gone by, I dragged myself back to the keyboard. In another three months, the book was finished. I share this story as an encouragement to others who are dealing with personal tragedy. Put one foot in front of the other, even if that’s all you can do right now. And pay attention to God’s provisions. The gifts He has provided—those things that you love to do way down in your soul. Gifts of distraction. Gifts of diversion. Activities that allow your mind to reset and recharge. Maybe it’s gardening. Maybe it’s sewing. Maybe it’s painting, playing a musical instrument, or singing. Or something much less artistic than that. Maybe it’s rolling change, cleaning house, or waxing the car. I have a friend who picks up rocks when life gets to be too much. For me, that gift is writing. In that aspect, The Commandment is a miracle. A testament to how God’s gifts give life purpose and bring healing to the broken. The loss is still there, and forever will be. But so is God’s love and concern, and personalized provision. One word at a time, sweet Jesus. 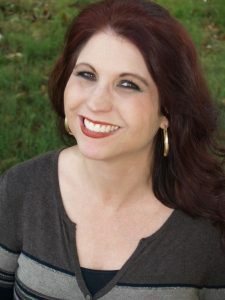 If you missed Inner Source’s Monday interview of Anna’s heroine, Briar Lee, you can read it here, and also be sure to check out our Wednesday interview with Anna here. 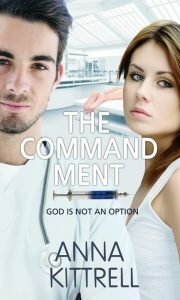 Today is the official release date for The Commandment. Be sure to get your copy!